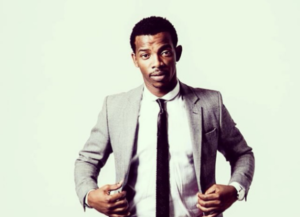 Born into the family of Jeffrey Khanyile and Nomthandazo Madida, Zakes Bantwini was born in the F-Section of KwaMashu township in Durban in the KwaZulu-Natal province of South Africa and raised in KwaMashu. Bantwini has a Diploma in Jazz and Popular Music and he is one of the contributors to the establishment of the Durban Kwaito Music (DKM) – the genre that is a mixture of house beats and kwaito lyrics. In 2004, during his final year at technikon, he established his own record label; Mayonie Productions. He is known for his song “Clap Your Hands”, featuring Xolani Sithole, from his album Love, Light and Music. Other featured tracks from the album include Bum Bum and Wasting my Time. He was born on the 26th of May 26, 1981, in the F-Section of KwaMashu township in Durban in the KwaZulu-Natal province of South Africa. As of 2018, he is 37 years old. He is married to Nandi Mngoma who is an actress, singer and TV presenter.